Having a rough day? 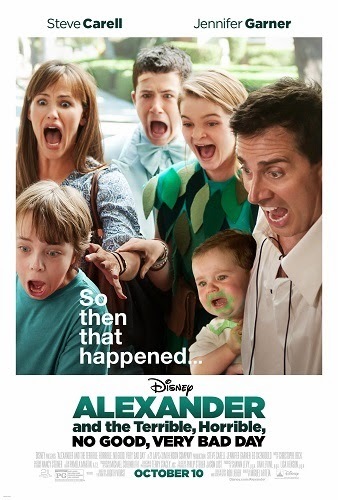 Improve it by entering for the chance to win a Blu-ray Combo Pack of ALEXANDER AND THE TERRIBLE, HORRIBLE, NO GOOD, VERY BAD DAY! This family-friendly film follows the exploits of 11-year-old Alexander as he experiences the most terrible and horrible day of his young life. He soon learns he is not alone when his mom, dad, brother, and sister all find themselves living through their own terrible, horrible, no good, very bad day. Click on the link in the post and fill out the form.